So proud to show you the first The Rack item from Berries Inc. This cozy knit sweater with white collar is perfect for cold autumn days. Available in standard sizes XXS-L, its also rigged, please try demo first. 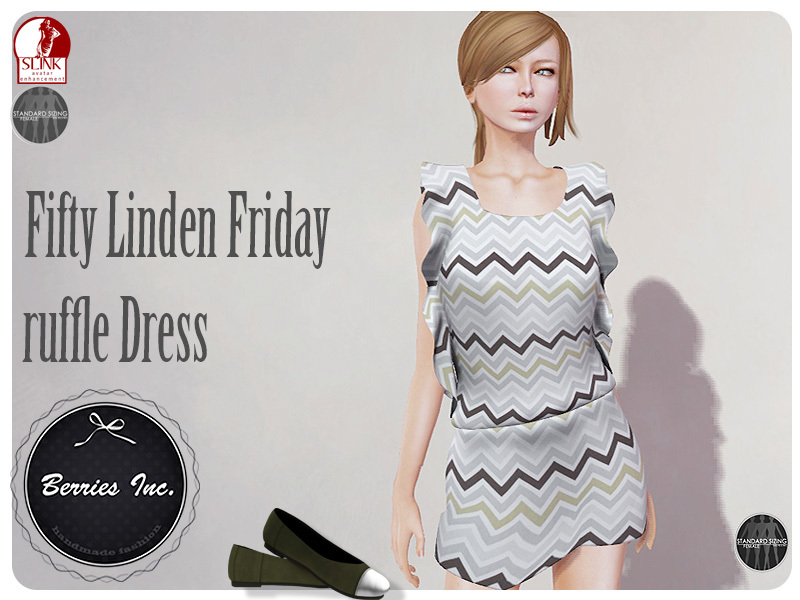 Berries Inc. participates at Fifty Linden Friday today ! You can find 2 pieces for this event, first the brandnew ruffle Mesh dress tooBat and the Candy flat for slink bare feet. All items are rigged, please try demo first. Berries Inc. participate this week at Fifty Linden Friday. in the Berries Inc. mainstore. One color is specially for FLF. The flats are only wearable with Slink bare feet !! Berries Inc. opening coming closer. Simply subscribe to the new Berries Inc. group to grab your free jeans shorts. 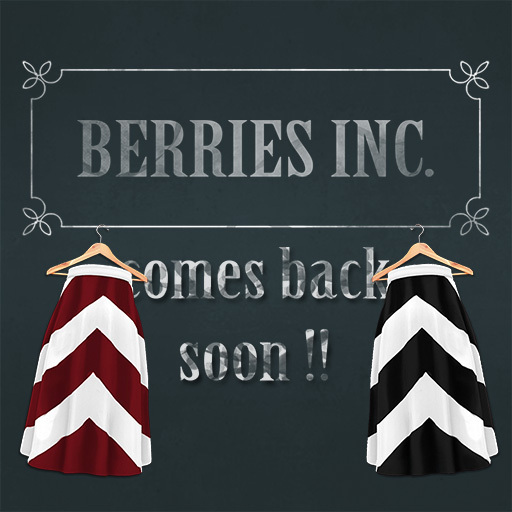 At Thursday 1am slt is Berries Inc. open for all. Hope to see you girls. Only a few items out, but i do my best to fill the store with Berries´s stuff. A great surprise is waiting for you, stay tuned. Berries Inc. comes back ! 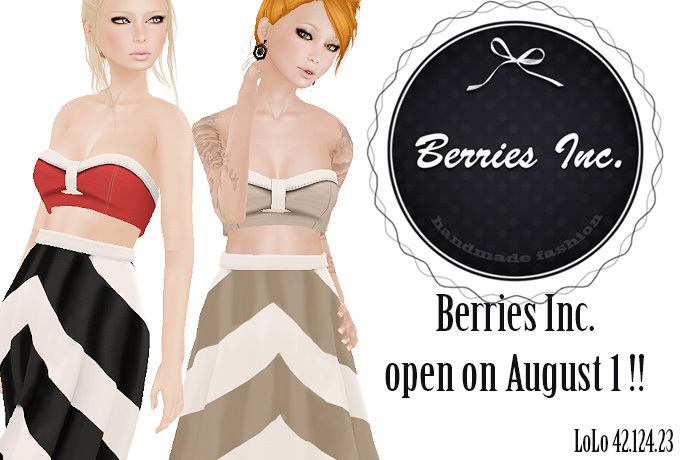 Only few weeks left until Berries Inc. open the doors at LoLo Sim ! Hope to see you Girls!